Serenity plans to set up a round the clock medical unit, a 30 bedded hospital catering mainly to the economically backward. A residential facility for the aged and infirm is a priority project for Serenity-a space where old persons are allowed to live in peace and dignity. Ancient siddha wisdom in medical care can be utilised effectively; preserve rare herbs which have medicinal properties and at a later point of time a research on Sidda medicine is also in the cards. Sponsoring education for the economically backward communities. Rehabilitation of destitute women, providing them with a means to livelihood and empowering them. Completion of the construction of Compound wall. Siddha Medicine & Research with Herbal Garden. Installation of a high capacity RO Water Plant. 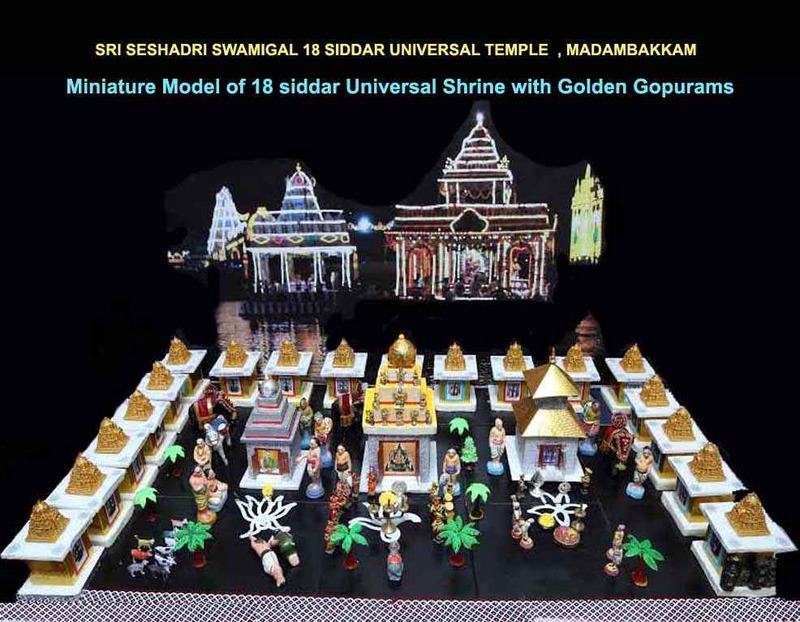 Also our future vision to convert all gopurams with SWARNA KALASAMS / GOLD PLATED GOPURAMS as s visualized through the miniature model done by a devotee of SRI SESHADRI SWAMIGAL. ALL YOUR DONATIONS TO THE TRUST ARE EXEMPTED UNDER SECTION 80G OF THE INCOME TAX ACT,1961.